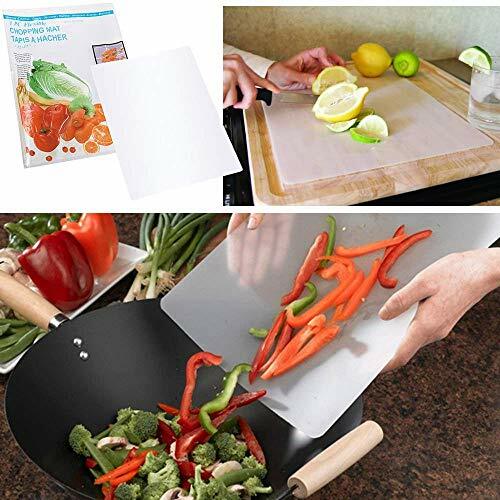 The VIP Gourmet Chopping mats' flexiblity and durablity allows for easy transfer from chopping to bowl. The VIP mats offer countertop protection. Place these on your cutitng board if have multiple items to cut and dont have the time to wash the board off. They are so simple to clean and are dishwasher safe so you can spend your time enjoying your delicious creations instead of cleaning. These mats are light weight and super easy to store, just lay flat in your cabinet draws or roll up and keep on your counter for easy access. Versitile use makes them perfect for crafts and hobby projects.